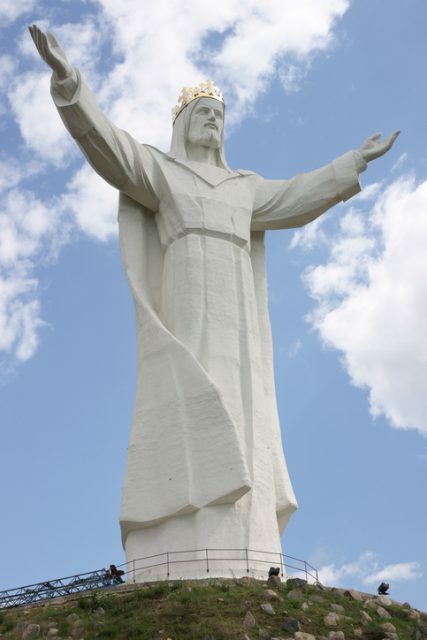 A small town of Świebodzin in Poland is the home of possibly the world’s biggest statue of Jesus Christ in the world. The construction was finalized in 2010 and the statue itself is 108 feet tall, but if you count the mound on which it stands and the crown on its head it reaches an impressive height of 167 feet. 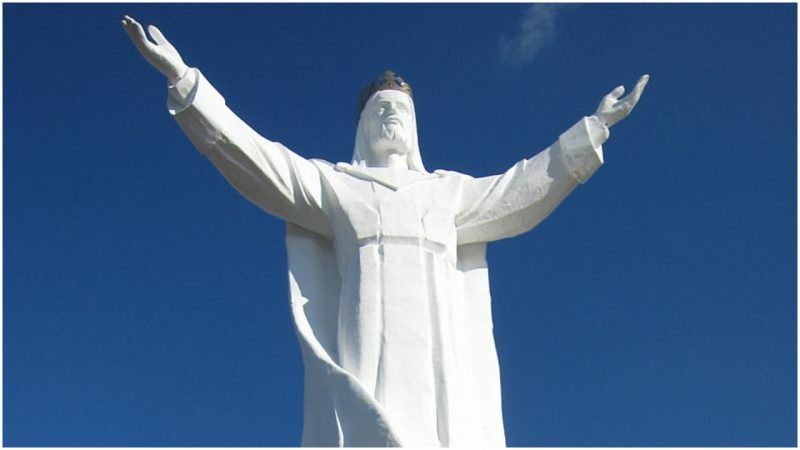 It therefore wins against the 133 feet tall Cristo de la Concordia in Cochabamba, Bolivia, and Rio de Janeiro’s Christ the Redeemer, reaching 125 feet. The statue cost $1.5 million and was funded entirely through crowdfunding, with local people and the Polish diaspora as far away as Canada contributing in the building of the statue. It was believed it would bring a miracle to the little town. The miracle people were hoping for, supported by claims of the local government, was intended to be of economical nature. 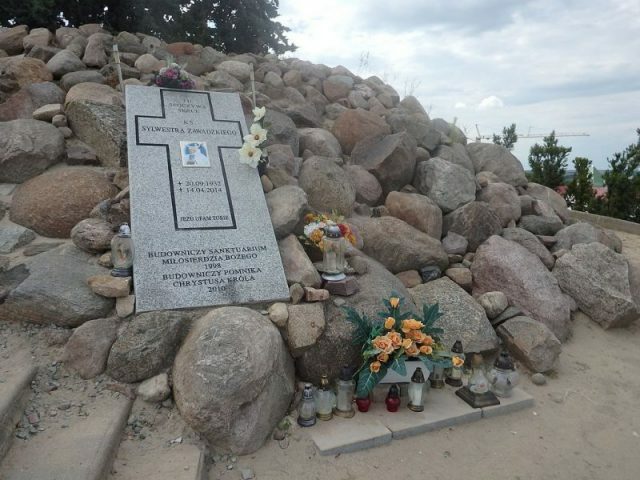 Even though in the first year of its construction the statue attracted 15,000 devoted pilgrims and tourists to witness its unveiling, it seems the Christ of Świebodzin did not turn out to be so successful in attracting money — as some sceptics already predicted. 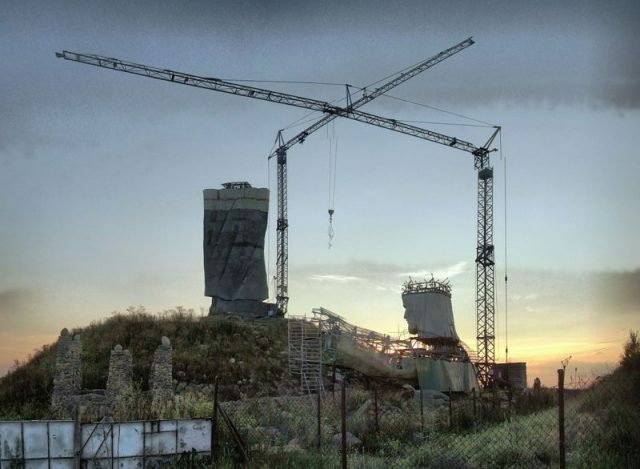 Many residents believed that the money invested towards building the huge statue could have been better spent on repairing roads, building new hospitals or schools. Last year, the statue attracted even more controversy when it was “upgraded” in secrecy. Something strange was spotted inside the Christ’s crown. Namely, it was speculated that the crown had been packed full with broadcasting equipment. 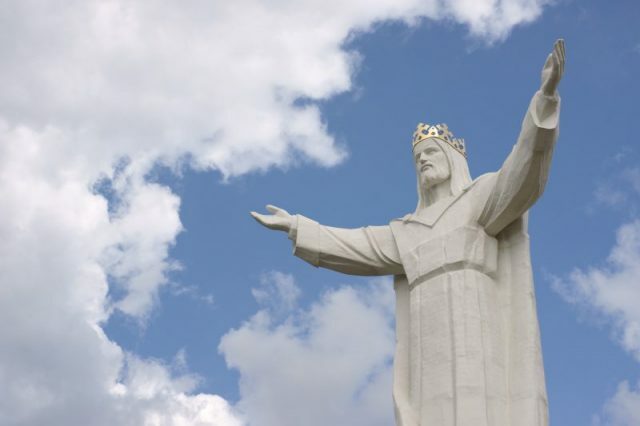 First it was only speculation, but soon a team of journalists from Polish news outlet Fakt 24 sent a drone over the Christ the King to investigate what exactly is going on with his head. 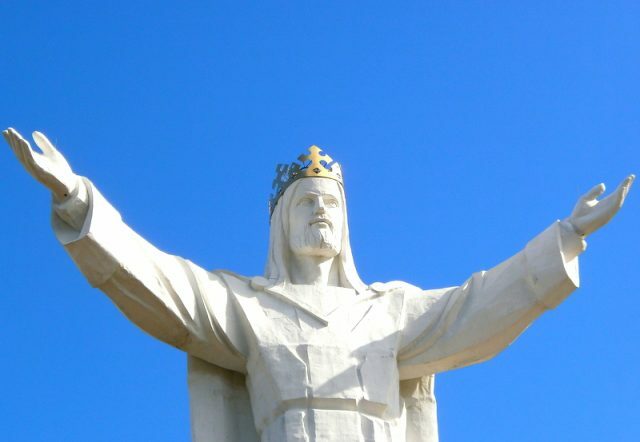 The journalists confirmed that the Christ’s crown holds internet broadcasting equipment, complete with antennas that are partly visible from the ground. 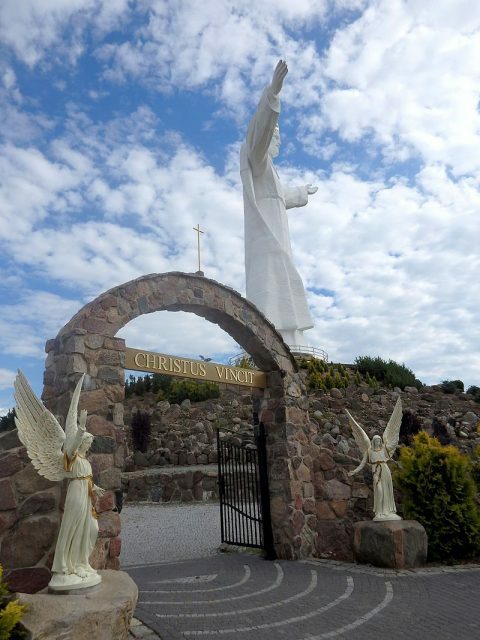 The journalists proceeded to inquire with the Divine Mercy Parish that is responsible for the statue and oversees it. They asked if the top of Christ’s head was available for rent, having in mind its dimensions. The church denied this as a possibility. When the journalists asked about the antennas the spokesperson of the parish claimed they knew nothing about it, despite the proof the journalists provided. However, an internet provider has claimed they are responsible for maintaining the broadcasting signal and confirmed that the request came directly from the parish. The source claimed the equipment is used to power the video surveillance system, but that the signal was also distributed to other users in the area. The provider’s spokesperson asserted that the contract is completely legal, so there was nothing problematic about it for the journalists to investigate. The system operating at such height is ideally placed to broadcast the signal around the whole town, even reaching the surrounding villages. The opinions were again mixed, with some people seeing it as a sacrilege and others as a completely legitimate and practical place for installing internet broadcasting equipment. 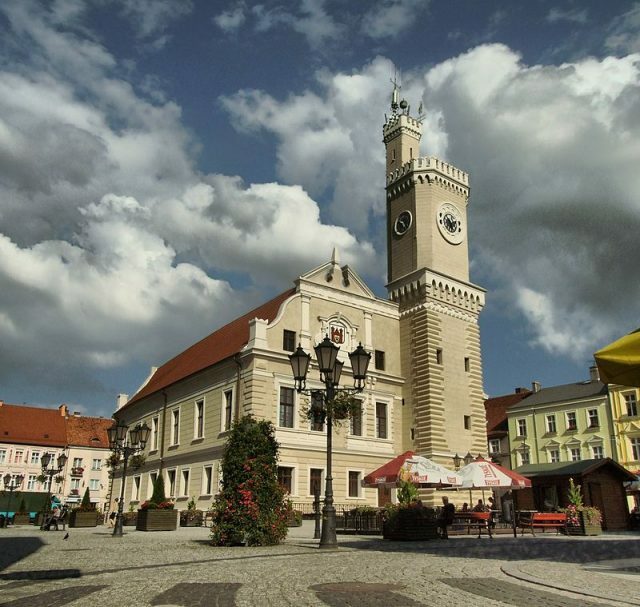 However, the whole system was taken down recently and the internet in Świebodzin has lost its status as a potential miracle and is again a mundane technological feature.